History is often seen as stuffy old-worldly matters, favoured by old men wearing musty jacket and elbow patches. I disagree – as I often find amazing lessons and unexpected discoveries by looking into the past. 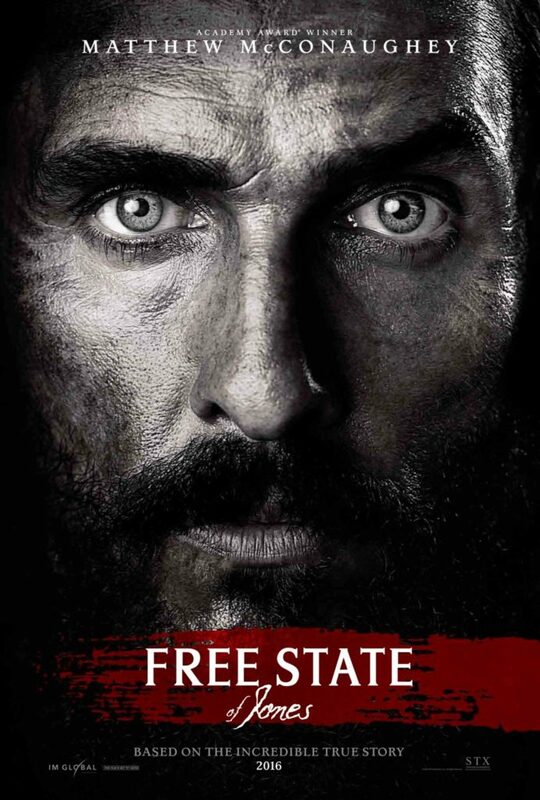 It is with this expectation that I watched Free State of Jones – not knowing anything about the movie, rather than incorrectly thinking that it was about the sect led by Jim Jones in the Guyana. The story is about Newt Knight (Matthew McConaughey) – a poor farmer from the Jones County in Misssissippi. The film depicts him as deserting his position in the Confederate Army during the 1862 Battle of Corinth. Overwhelmed by the number of fatalities and injuries, he returned home to lead a band of housewives, escapee slaves and fellow deserters to fight the Confederate Army themselves for the corruption and injustice that they committed during the Civil War. This amazing story is based on actual events – and it is also quite eye-opening to learn how injustice, racism and veiled slavery continued to flourish in the South after President Abraham Lincoln’s administration. Unfortunately, the movie somehow portrays the whole series of events in a long and dragging tempo. Yes, I learned a lot of things from watching the movie but I must admit that I checked my watch a couple of times during the movie as it was really slow and plodding. Admittedly, it was probably difficult for the director – Garry Ross – to stay true to the chain of events while injecting some poetic licence into the storyline. I just wish somehow that the end result had been much more engaging.